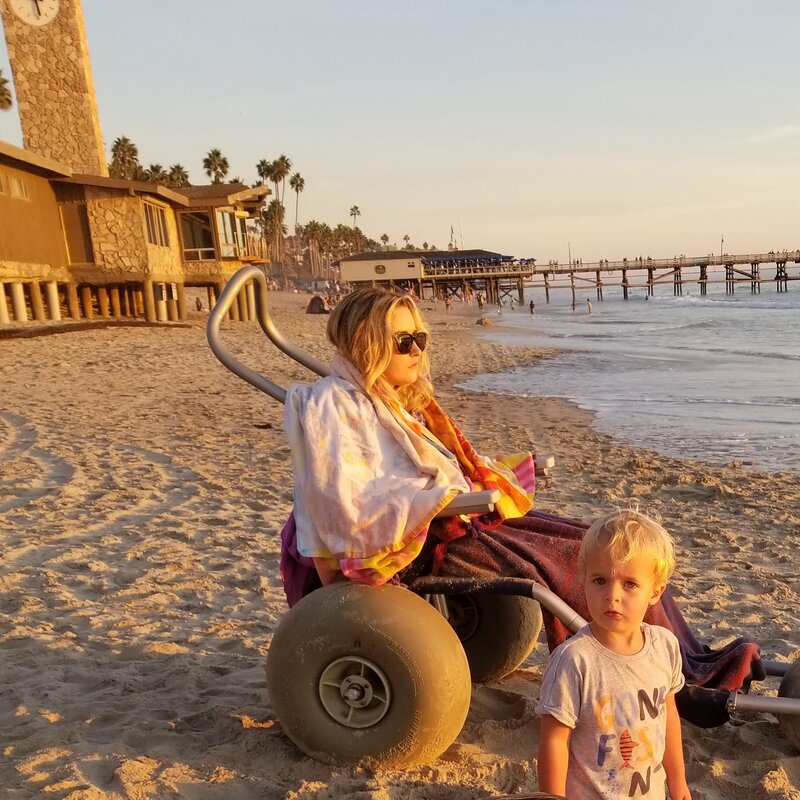 Supporting Chelsea of the Sea-THIS WEEK'S FEATURE: "ROBIN'S MERMAID BAG"
On February 29th, 2016 Chelsea was involved in an ATV accident where she suffered a devastating spinal cord injury. She was admitted to the Intensive Care Unit at Desert Regional Hospital in Palm Springs, CA. The MRI diagnosed acute traumatic fracture to the cervical 5 vertebrae. Chelsea is paralyzed from her chest down. Chelsea’s stabilization from pneumonia and multiple infections was managed by Dr. Ercoli and his amazing ICU trauma team at Desert Regional. Chelsea was finally cleared to undergo two separate surgeries. 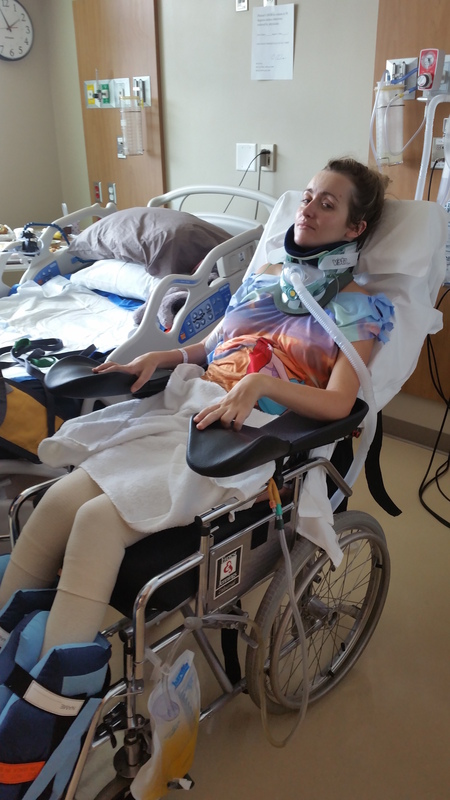 Neurology surgeon, Dr. Berman, stabilized Chelsea’s neck, relieved the spinal cord pressure, replaced C5 with a mesh implant and then fused C4-C6. Chelsea is still battling her respiratory function and nutritional needs. She is now stable and ready to be moved to a rehabilitation facility. We are sending her to the most highly-regarded spinal cord rehabilitation facility in the country, Craig Hospital in Englewood, Colorado. 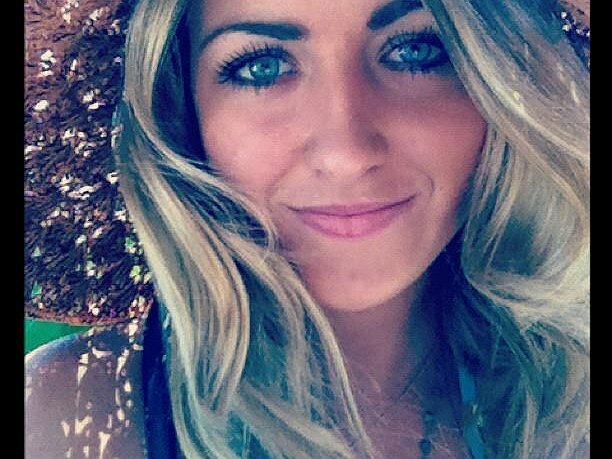 Before this tragic accident, she was blossoming into an amazing woman. She had really just started her grown up life. She had many extraordinary talents. She would sketch and create beautiful images and is known for her stunning jewelry creations. Chelsea graduated from Toni & Guy Hair Academy in 2013. She has been using her creative skills in hairdressing and as a make-up artist. Chelsea’s heart and loving spirit is cherished by everyone who knows her. Her grace is shared with all who come into contact with her. She has stunning beauty inside and out! Chelsea has successfully delivered her baby Wyatt. She was 3 months pregnant at the time of her accident. This little warrior has made it through her surgeries and a very difficult pregnancy. We are blessed to have him arrive at 38 weeks and healthy! Chelsea is facing a very difficult future for a young 24-year-old woman. Disabled and a new single mom! We, her advocates for the best chance for a quality of life, have chosen to fundraise with Help Hope Live in part because Help Hope Live assures fiscal accountability of funds raised and tax deductibility to the full extent allowed by law for donors. Donors can be sure that funds donated will be used only to pay or reimburse medically-related expenses. To make a donation to this fundraising campaign, click on the Donate Now button. Chelsea continues battling every day. Medical issues continue to challenge her well being. There has been great improvement in her arms and upper body. She is learning to apply her own makeup and feed herself. Last week in the jacuzzi, Chelsea was clearly moving her left foot in the water! Chelsea is currently undergoing a spinal cord surgery. She has suffered excruiating pain and is losing some sensation due to a tethered spinal cord (scar tissue has wrapped around the cord) as well as a cyst formation constricting the cord. The main goal of this surgery is to lessen the pain and improve her quality of life to continue her functional rehabilitation. The surgeon, Dr. Falci, and his dedicated staff have assured us she is in the best of care. Dr. Falci has performed over 1300 surgeries for this very delicate and specialized procedure. We are all very optimistic and encouraged for a postive outcome. 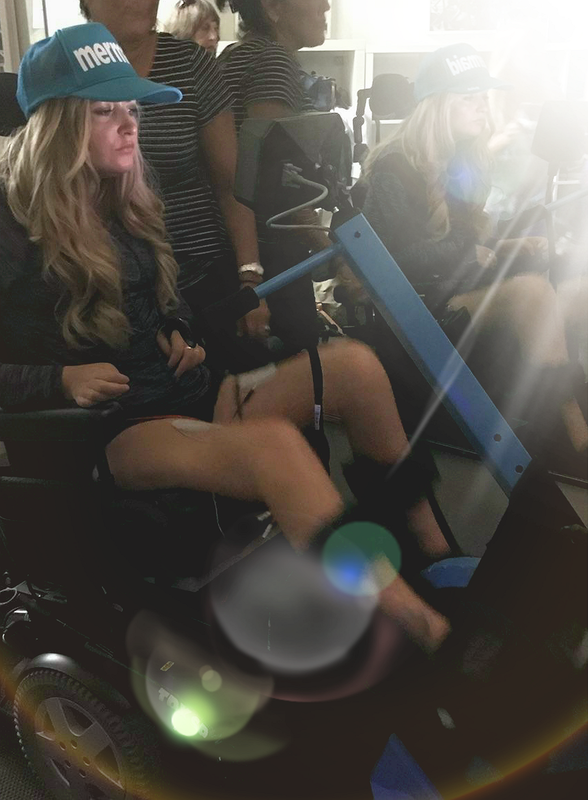 Chelsea now has the FES bike waiting for her to come home and continue building strength and circulation in her legs while her upper spine recovers from the surgery. Chelsea has a long 12 week recovery period ahead of her. Again…Thank you for your encouraging support on Chelsea’s journey! 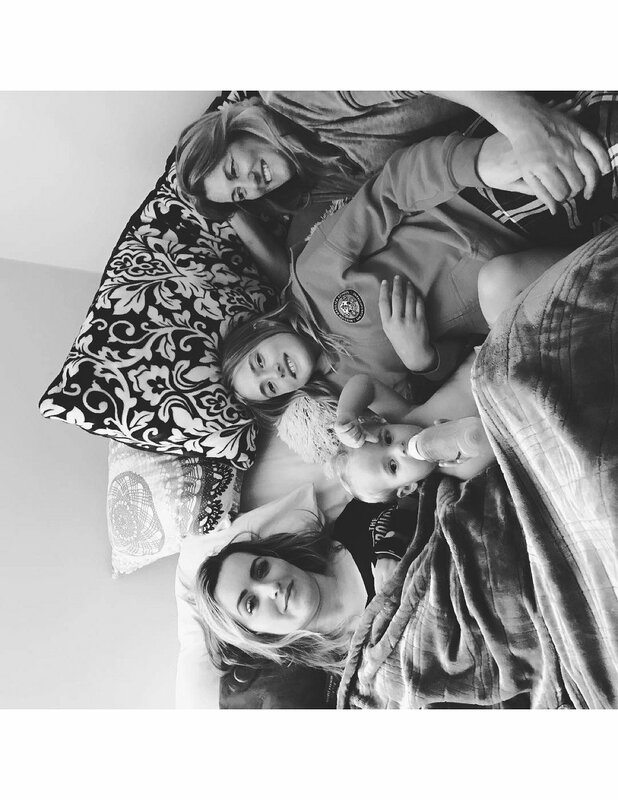 Thank you for all of your love, care and support in Chelsea’s journey to recovery. Chelsea and Wyatt are doing well! Chelsea is continuing to work hard at Strides with her PT. She is getting stronger everyday! Water therapy starts next week….this mermaid will finally feel at home! Just a quick note…the last batch of supporting Chelsea bracelets were sent out without the “Chelsea of the Sea” bangle. If you were one…let me know ASAP and I will send it out! We sold out…good thing…but it got confusing with our “Team Chelsea” mermaid helpers. Chelsea had some milestones in the last couple of days! She was released from her neck support collar. The rods and fusion have been healed and secure enough for her to not need the collar for support. Chelsea was also trained to drive her wheel chair with a straw. She blows into the straw to drive and control the wheelchair. The last item was that she was finally able to have the tube taken out of her stomach. It was relatively painless….literally made a “pop” sound like a cork when they pulled it out. The hole will heal up within a day or two. Thank you everyone for all of the amazing messages and support for Chelsea’s spinal cord rehabilitation and ongoing medical expenses. Chelsea is finally stable enough to begin her more intense physical therapy. The casting, acupuncture and dry needling are effective in providing more range of motion. She will continue to work hard everyday to find some additional feeling and movement. Chelsea is able to feel the baby. He is moving and kicking her quite a bit…especially after she eats dinner. The doctors are putting together a plan for baby delivery next door at Swedish Hospital. Chelsea is being monitored by a high risk Neonatal Obstetrician. I have added a list of some of the expenses Chelsea will be incurring in the future. 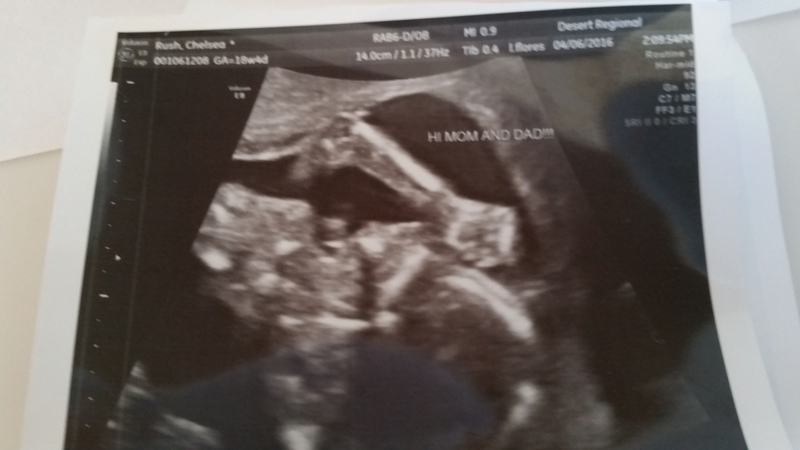 Chelsea and John have decided it is time to share some news…Chelsea is 20 WEEKS PREGNANT with a healthy baby boy. He is due September 1st. This adds even more concern for her recovery. The doctors have been taking all precaution on the medications to keep baby safe. Through Chelsea’s rehabilitation, she will also be dealing with the strains of being pregnant and growing a life! Her pain management has been difficult. We hope to utilize some acupuncture, massage and other homeopathic methods to get her through. Since this is the early stages of her recovery…we are not clear yet on the specific items and expenses we will be requiring. We have a long and difficult road to bring our Chelsea home. I do want to THANK all who contributed thus far! Our 1st goal to bring Chelsea to the top spinal cord rehabilitation facility at Craig Hospital, was achieved by our awesome supporters! So much gratitude to you all! P.S. Craig Hospital has been even more amazing than I could have imagined! Chelsea is on her way to Craig Hospital in the morning. This is the 1st step to a very long road. The extent of her injuries are still unknown. We do not know the level of her recovery possibilities. I will be happy to have some more news to share on her progress. CHELSEA IS SCHEDULED FOR HER AIR AMBULANCE TRANSFER TO CRAIG HOSPITAL IN ENGLEWWOD, COLORADO. WE ARE LEAVING FROM PALM SPRINGS, CA. TO DENVER, COLORADO THIS MONDAY, APRIL 11, 2016. MEDICAL INSURANCE HAS DENIED THE CLAIM FOR THE AIR AMBULANCE TRANSFER. 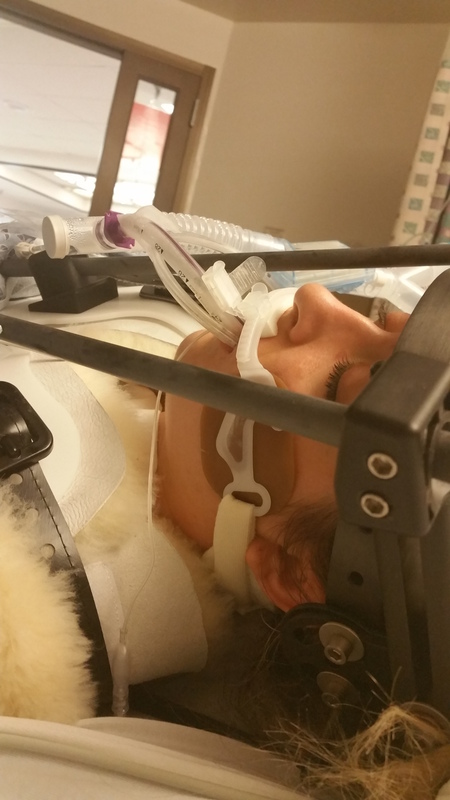 PLEASE HELP CHELSEA GET TO CRAIG HOSPITAL-THE ELITE SPINAL CORD INJURY REHABILITATION FACILITY. THIS A TAX DEDUCTIBLE DONATION! THE DONATION IS ALSO NOT TAXABLE INCOME FOR THE FAMILY. PAYMENT WILL GO DIRECTLY TO THE AIR AMBULANCE SERVICER. CREDIT CARDS WILL BE THE QUICKEST FORM OF DONATION PAYMENT. AIR AMBULANCE SERVICE WILL BE THE FIRST OF MANY, UN-INSURED MEDICAL EXPENSES CHELSEA WILL INCURR. ALL DONATIONS WILL BE CREDITED FOR THE USE OF HER UN-INSURED MEDICAL EXPENSES. THANK YOU SO MUCH FOR THE SUPPORT OF CHELSEA’S FUTURE!! Wishing you the best outcome, with love and respect. Good luck on your surgery! Praying for it to Fully successful! Prayers, love and positive vibes to Chelsea! Shout out to Rhythm Ride for spreading the word! Sending lots of love and support! Thank you to Hilary Gilles for introducing me to your story and allowing me to help contribute to a wonderful tool to be used in your life! You are such an inspiration. I think & pray everyday for this special person, Chelsea to have a remarkable recovery! She has a superior family and friends support that all love and believe in her!!! We love you Chelsea! Donating for the spin class ride to support Hillary Gilles who is generously peddling for this lovely young lady and her son. Go Hillary! Sending support to Chelsea and her family. Continually rooting for you Chelsea - and sending strength and love, for your big event.... and every day! Praying for a speedy recovery, Chelsea!